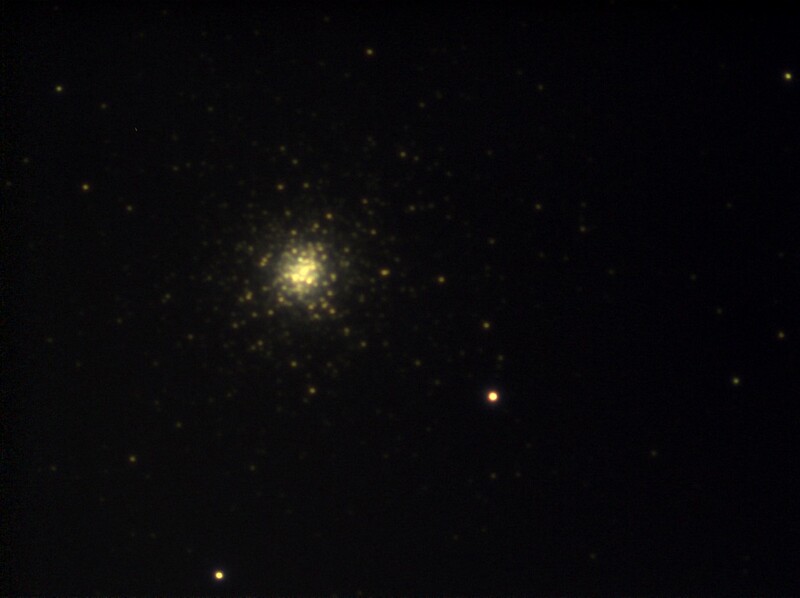 This image of M3 was captured by Dave Selfe in April 2018 using an ATIK Infinity camera mounted on a Skywatcher Evostar 150mm achromatic refractor. The image was taken on only his second night of viewing using the new camera. No image processing has been applied. Image © Dave Selfe. 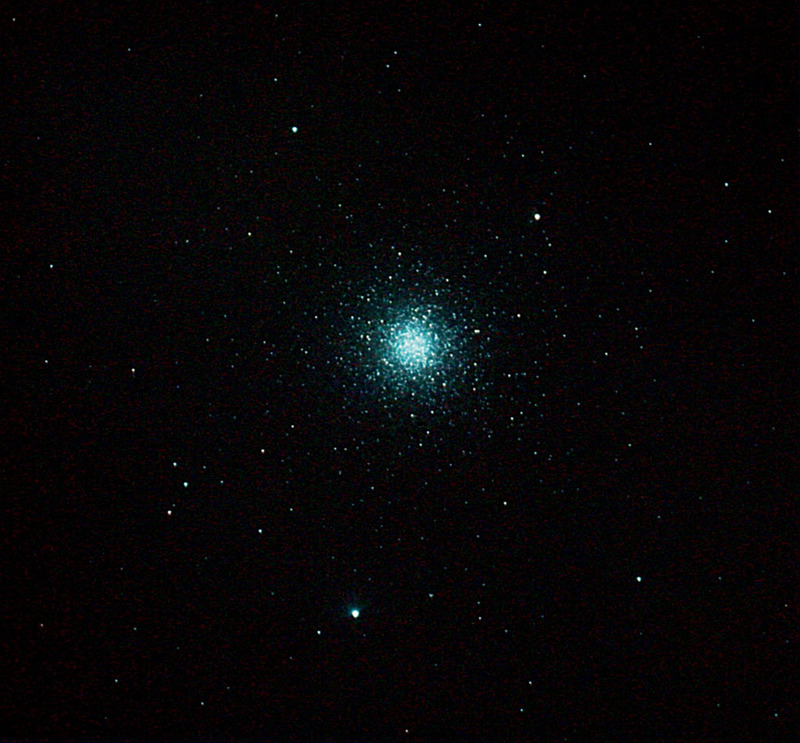 Chris Newsome took this image of the globular cluster M3 on the 11th April 2007. The image is comprised of six 300 second exposures at 400 ASA, six 300 second exposures at 200 ASA and six 180 second exposures at 800 ASA taken with an unmodified Canon EOS300D camera through a Celestron C8-NGT telescope. This was guided with a Meade DSI camera through a Skywatcher 80T refractor. The image was combined in Maxim DL and processed in Photoshop CS2. It was the first time Chris used a new Moonlite Crayford CR-1 low profile 2" focuser fitted by David Lukehurst in Nottingham. This image made Picture of the Week on the BAA website in May 2007. Image © Chris Newsome. 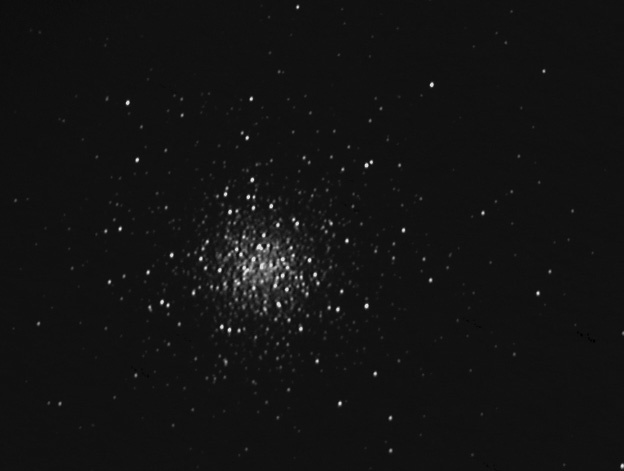 Chris Newsome took the following image of the globular cluster M3 on the 11th May 2005 using a Meade DSI camera and a Celestron C6-Newtonian. Image © Chris Newsome. 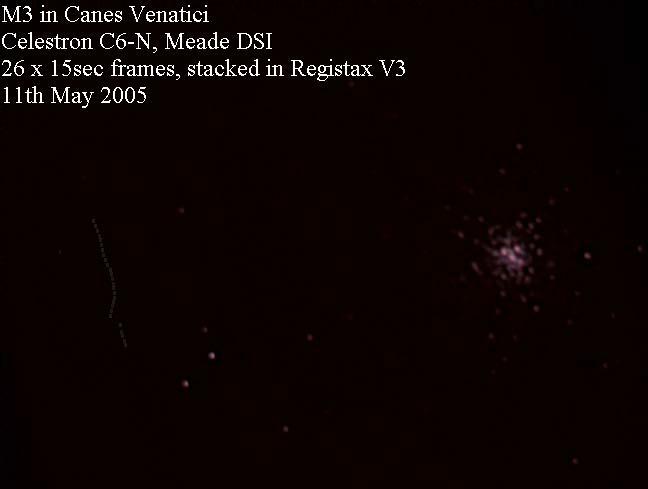 Adrian Brown took the following image of the globular cluster M3 in Canes Venatici on the 10th April 2005. He used a Celestron C11 at F3.3 and an ATK-1C camera. The image is a composite of 8 thirty second exposures stacked in K3CCD Tools and the image was dark frame adjusted to remove 'hot' pixels. Final processing was performed in Photoshop to convert the image to greyscale and remove some background sky glow. Image © Adrian Brown.